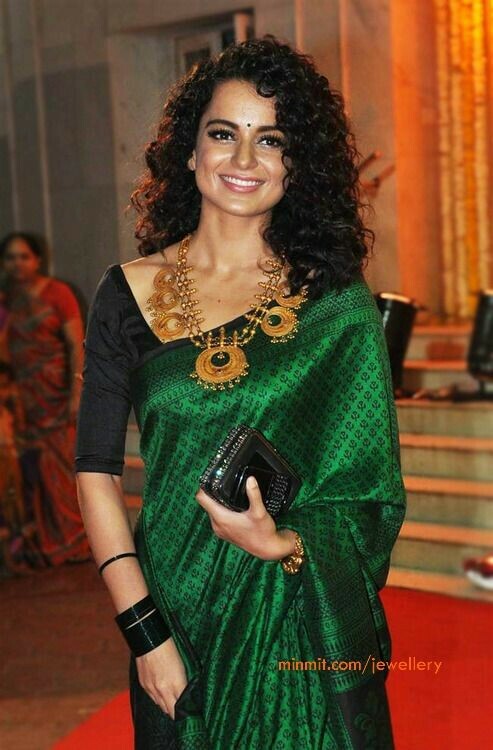 Eight Reasons why Kangana Ranaut is the biggest fashion icon of recent times! 1. She tries varied styles. She’s does not do a Vidya Balan or a Sonam Kapoor – sticking to particular attires or sporting just international labels. 2. She has through the years maintained, flaunted and made us fall in love time and again with her curls. She made us believe curls are cool. Cools are curl…lel. 3. She is not the perfect size zero nor does she particularly have the perfect legs or body but she gives a damn, throws caution to the wind and experiments anyway. 4. She mixes prints, colors and trends like a boss. 5. When she has an occasion she dresses up, but for the other days, its simple comfortable and cozy staples you and me would be seen in that she sports. 6. She never tries too hard. When she imitates a old time fashion icon its never a “oh look at her, she’s subtly trying to be actor.x” its always a “oh look its actor x” ya she just goes all out and looks like the icon’s clone, thus paying a tribute to them rather than aping their style. 7. Have you seen the way she answers her interviews? From not knowing a word in English and being branded as a village bell with an accent she went on to becoming such a force in English and vocabulary and diction and pronunciation and CONTENT that it was such an in-your-face to so many in the film fraternity. 8. She has recently declined to endorse a fairness cream (She was offered Rs.2 crores for it mind you) because she strongly believed color means nothing and that it would be like insulting her dusky sister, which if she could never do, she could not insult an entire nation. Read this link for more news on that! Kangana, you beauty! FTW \M/ !! !